According to the Indian lunisolar calendar, there are six seasons or ritus in a year. Since Vedic times, Hindus across India and South Asia have used this calendar to structure their lives around the seasons of the year. The faithful still use it today for important Hindu festivals and religious occasions. The description of seasons and months in Ayurveda is based on India's location on the map, the months and seasons may vary in other regions. Vasant Ritu: chaitra & Vaishakh, mid-march to mid-mid may (Spring). Grishma Ritu: jyeshtha & Ashad, may to june (Summer). Varsha Ritu: Shravan & Bhadrapad, july to september(Monsoon). Sharad Ritu: Ashvin & Kartik, Mid-sepetember to october(Autumn). Hemant Ritu: Margshish & Paush, November to mid-january(Prewinter). 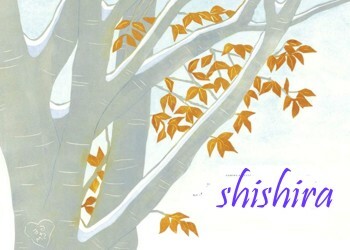 Shishir or Shita Ritu: Magh & falgun, Mid-january to mid-march(Winter). To maintain health & stay away from diseases, Ayurveda has mentioned different Ritucharya for all seasons. Shishir Ritu consists of magh & Falgun months i.e. Mid-january to mid-march. In this period some changes occurs in nature due to change in earth’s position relative to sun & moon. Shishir season will have more cold & dryness compared to previous Hemant Ritu. In the Shishir ritu nights are longer than days which start to become shorter as ritu progresses. There may be more cold than previous Hemant ritu which also accompanies with dryness in air. There will be snow fall in some regions . In this season’s end part the trees shed their leaves . People will have very good body strength & because of decreased peripheral blood supply and increased core blood supply, there will be very strong digestive fire. Such Increased Jatharagni (Digestive Fire) is able to digest food which is heavy (Guru) in nature. In response to external cold atmosphere body starts to retain heat, which results in stronger & better Digestive capacity (Jatharagni) . Such improved Jatharagni is able to Digest heavy foods such as meat, fats, poultry products & dairy products such as milk, cheese, ghee etc. Heavy foods are advised , so if one likes to have more amount of food it will not cause any indigestion in this season . 2. Ayurveda mentioned six tastes of food – sweet, sour, salty, bitter, pungent and astringent. Foods that are sweet, sour and salty are especially beneficial in cold, dry winters. Bitter and spicy foods should be avoided as they tend to increase Vata & dryness in the body. 4. Sweet products made from sugarcane extracts like jaggery can be consumed in this season. Wheat and wheat products, new grains such as rice, and other nutrition rich diet like dates, dry fruits, etc. are also recommended. For an increased immunity during winter season, Ayurveda suggests consuming a Chyavanprash in the morning. It is a multi-vitamin, multi-mineral & antioxidant herbal supplement, consisting of 30 different Ayurvedic herbs. People who are non vegetarian should eat meat which helps in providing good energy. Special herbal wines (not to be consumed for intoxication) and honey can be taken. One should particularly avoid taking cold foods and drinks and should One should consume hot water , ginger tea . 10. Fruits like apple , guava , grapes , dry fruits , dates are good . 1. One can take Swedan (steam Bath) daily followed by abhyangam. After bath, apply ‘lep’ (anointment) of heat generating herbs like ‘kesar’ (saffron), ‘aguru’ (aloe wood). It keeps the body warm. There is a natural accumulation of kapha due to the cold and wet environment, so one should try to keep warm. Heavy, warm, dry clothes should be worn.The fabrics that are mentioned are: silk, leather, jute, thick cotton, wool etc. Vigorous exercises can be done. In this season wrestling is recommended, but in its absence, aerobic exercises or other forms of physical exercise routine can be followed. Regular body massage with oil according to individuals prakruti should be done.Head massage is also recommended. Massage not only generates heat, thereby providing respite from the cold, but it also keeps Vata dosha from getting aggravated. Do ‘dhoop’of aguru in the room. Inhalation of the ‘dhoop’ from aguru keeps the respiratory passage clear, and removes kapha. Also it keeps room warm & cozy. Expose oneself to morning sun rays for natural sudation . Avoid bitter , too much spicy food items . Avoid dry , cold & light food . Lady’s finger , spinach , pulses are not advised . 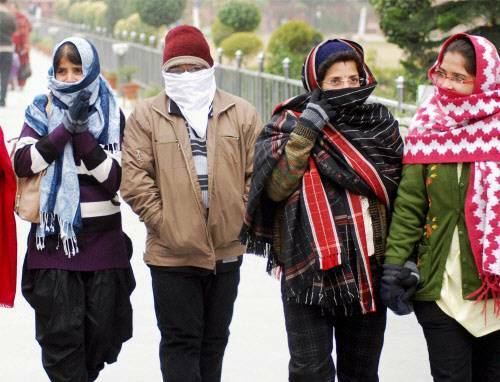 Should not expose to cold and strong breeze . Day sleeping is not advised .